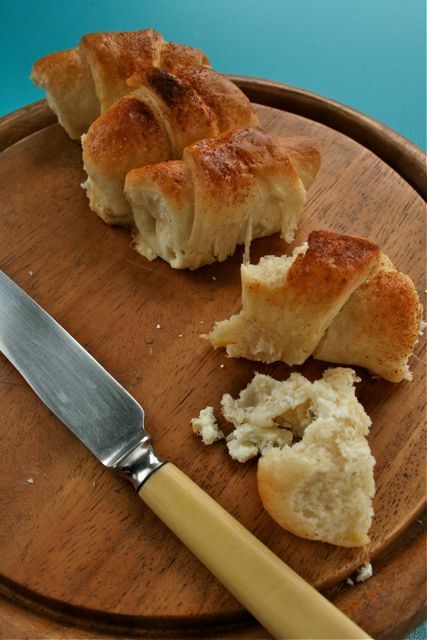 These little bread rolls called ‘kiflice’ are not well known in the UK. 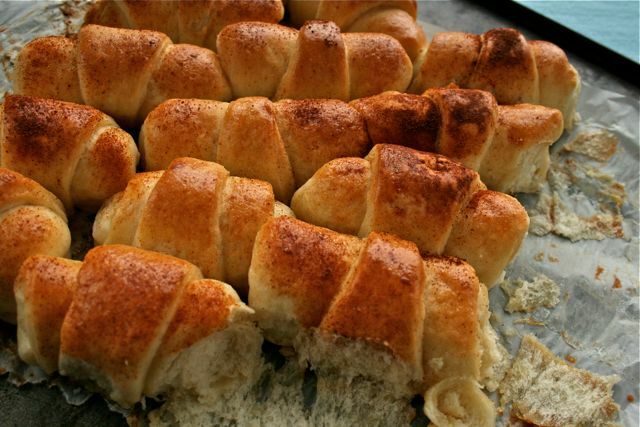 Kiflice, pronounced ‘kith-licker’ are Serbian cheese rolls. Today is my first contribution to the monthly bread baking challenge, Fresh From The Oven. This month’s kiflice recipe was set by Maja at Cooks and Bakes in Belgrade. Given that my husband is part Serbian, I was very excited by this recipe. 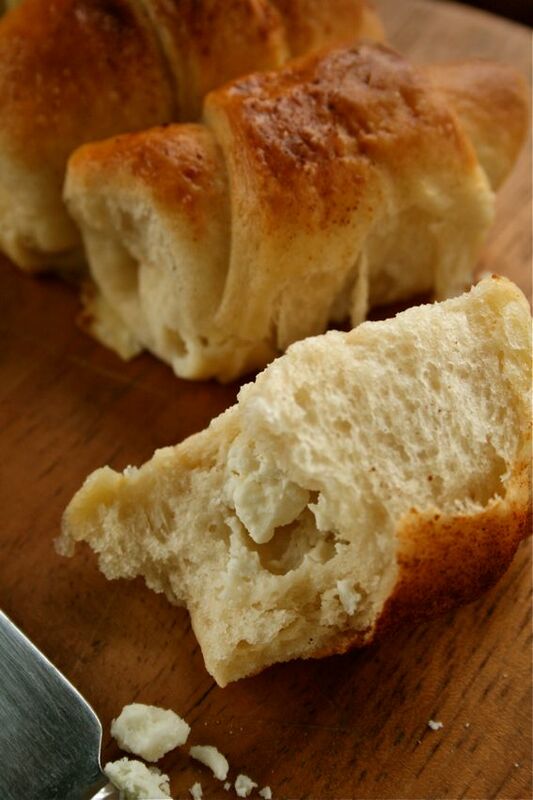 I’ve not eaten kiflice before but they sounded delicious, a buttery bread roll filled with salty white cheese. Cheddar style cheese is rarely sold in the Balkans, with white salty soft cheeses similar to feta being more prominent. Two ingredients popular in Serbia are green chilli pepper and paprika. “Paprika” is Serbian for pepper. Putting my own mark on this recipe I added green chilli and garlic to the filling and sprinkled paprika on top. As I mentioned in my recent post about Tivat, Montenegro, it is common to serve entire long raw green chilli peppers with meals. 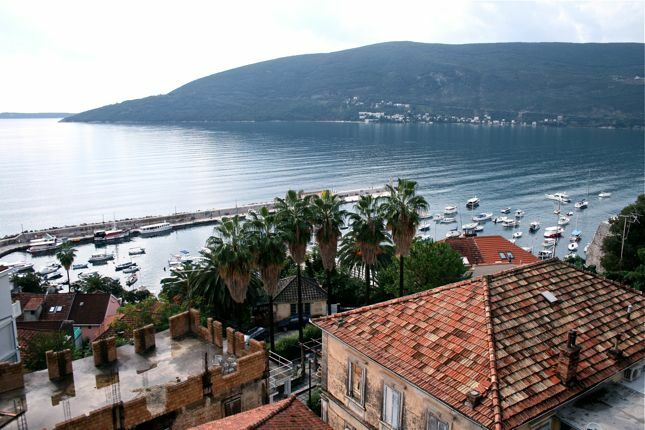 Although I have visited Serbia a couple of times, more recently we have been visiting my in-law’s holiday apartment in Herceg Novi, Montenegro, an easy 30 minute drive from Dubrovnik airport just over the Croatian border. This post was originally going to feature a travelogue on Herceg Novi but I have now decided to publish this separately at the weekend. Come back next weekend to see more pictures of this Balkan seaside resort and reviews of several restaurants and cafes. The food we have eaten in Serbia, Montenegro and Croatia has been enjoyable but with a few exceptions such as ajvar, there have not been many dishes that I would deem unique to elsewhere. My in-laws are not foodie people, perhaps they’ve not taken us to the right places. I was surprised I had not been introduced to kiflice on visits over there. Thus I was delighted to read about kiflice and to choose what I feel is an authentic way to flavour them whilst exercising my newly acquired enthusiasm for yeast and bread recipes. I had been sceptical that the amount of cheese filling would stretch to 40 rolls and sceptical that I would fit 40 rolls on a single baking sheet. However, this recipe is deceptively simple, everything worked just as Maja said it would. Including proving time it took me around 2 hours from start to finish but most of this is making the dough, waiting for it to rise then around 30 minutes of fiddly-ness cutting triangles of dough and positioning them on the tray. Baking is a scant 20 minutes, mine were probably ready just after 15. My only regret is that despite stuffing myself with them the first weekend and putting a bagful in the freezer, I ended up throwing over a dozen of them away. In an airtight tin they keep for 4-5 days. Kiflice are a popular appetiser at parties in the Balkans. There’s no reason why you couldn’t stretch this dough batch to produce 60-80 dinky little kiflice although I’d suggest upping the quantity of filling by 50% and one might lose the will to live whilst rolling up all those triangles. It would be worth the effort involved though, they taste spectacular. In fact, they were one of my favourite recipes since starting this blog. Thanks very much to Maja for setting such a wonderful challenge that was both easy to follow and unfamiliar. Crush the cheese using a fork and stir in the egg white, chopped green chilli and garlic. The filling shouldn't be runny, but thick and compact, thicker than the cream cheese, and pretty salty. To make the starter - warm 50-60mls of the milk until it is lukewarm and dissolve the yeast in it with a teaspoon of sugar and a tablespoon of flour, stir to get smooth batter. Set aside in a warmish place to give the yeast time to activate and bubble up filling the cup. Sift the flour and salt. Add the frothy yeast mixture, egg, oil and milk, then combine using a wooden spoon to get smooth dough. Your dough should start to separate from the bowl, and form a ball. It is not necessary to knead the dough by hand. Grease some cling film with oil and cover the bowl setting aside for at least an hour in a warm place until the dough doubles in size. After this time as passed, knead the dough a little. On a floured work surface, divide into 5 equal balls. Each ball will yield 8 rolls, giving 40 rolls in total to be lined up in 5x8 formation on a baking sheet. To create the rolls, you need to roll a series of dough circles which are then cut into 8 segments; flatten each ball by hand on the floury work surface, then roll into a circular shape 0.5cm thick. Cut the circle into 8 triangular segments. Take one triangle, stretch it gently with your hands so that it becomes long and pointy (around 20cm long and very thin toward the end). Put a generous teaspoon of filling at the triangle base, then fold the edges of the base inwards before rolling the triangle up into a crescent sausage shape. Continue and line up the rolls in 5 x 8 formation, fairly close together. When you are half way through forming your rolls, preheat the oven to 180c or gas mark 4. For the glaze, beat the egg yolk with the milk and brush the top of each roll with the mixture. 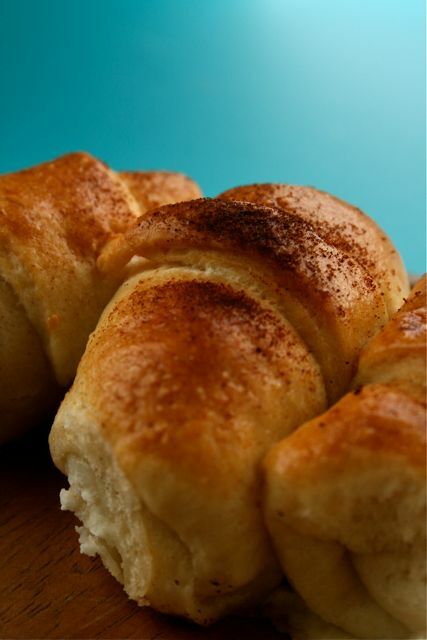 Sprinkle the rolls with paprika. 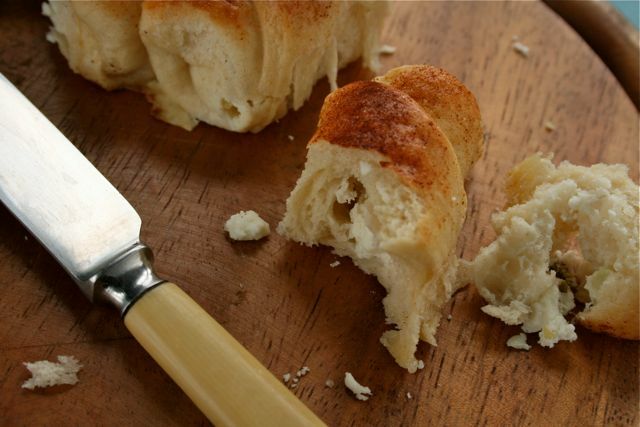 Finally, dot the butter in knobs placed in the gaps between the rolls, do not avoid this step since it fries the rolls in the oven and is essential for the flavour and texture. Bake for 18-20 minutes taking care not to over do and dry out. The kiflice are at their most desirable warm but take care to give the cheese filling chance to cool before you tuck in. They are just as nice cooled down but like many bakes, they are even more delightful when fresh from the oven. I failed this month, after seeing yours feel I need to play catchup, they look fantastic! Those look so delightful! A scrumptious speciality. Fantastic! 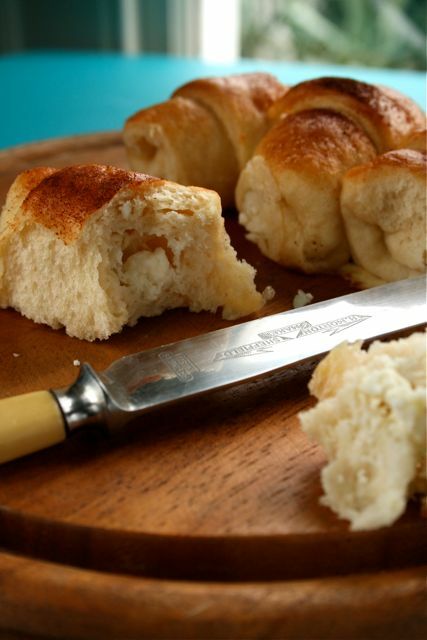 Your rolls are gorgeously uniform looking, so you did alright with the fiddly part! I made a double batch and did start to lose the will to roll near the end. 😛 FFTO is a great group because it’s still quite small and everyone visits each other’s contributions. Welcome! Really interesting to hear about your Serbian connections and I look forward to the next post. This recipe seems to have been enjoyed by everyone and while the salty cottage cheese-like filling is very authentic, offers a great launch pad for other fillings. I love the idea of the green chilli and paprika and I wondered about making mini-ones too. I’d need The Archers omnibus on in the background for all that rolling! You definitely have to try ajvar again as it’s really good especially if it’s home made. 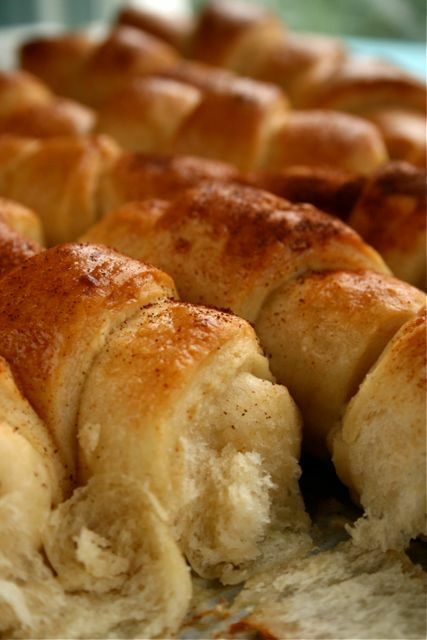 Oh my those are mouthwatering! Just looking at your list of ingredients is making me drool. HOw lovely!! I love the doughey texture. It reminds me of that of a soft pretzel. I love it!!! How interesting you are married to part-Serbian! I hope he enjoyed kiflice! Your dough texture looks amazing. And I like your addition of garlic and paprika. Montenegro is beautiful, I am glad you have visited it. Your kifli look just petect like they should be. The filling is interesting I’ve never tried something like this before but would give it a try! As for Balkan cuisine I ve been recently thinking it is attractive to me because of my childhood memories and the tastes from childhood that it brings out. Is it like this for more people the tastes we are used to as children become all time favourites. Hi! just to clarify that paprika is not serbia for pepper. Biber is pepper. Paprika is just that, paprika! My husband’s Serbian relatives refer to vegetable peppers as “paprika” so I’m only relaying what they’ve told me. Yes pepper the spice is “biber” but that’s not what I was referring to here. 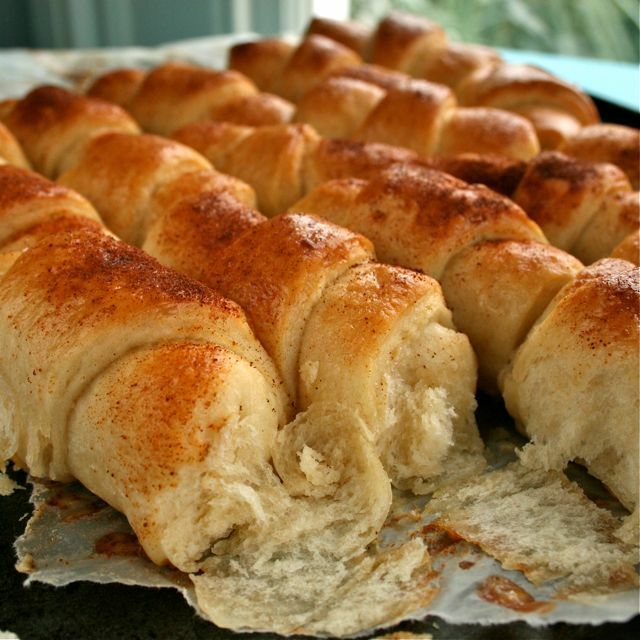 The correct pronunciation for these kiflice is ‘kif-li-tse’. Sarah, sorry I retract my answer regarding the vegetable pepper as opposed to the spice. You are correct in saying that the vegetable Paprika is referred to as Pepper but only in certain countries. Here in Australia we rarely use that term. We use the word Capsicum to refer to pepper/paprika. My husband is from Dalmatia and they say ‘Papar’ for pepper (the spice) and my parents are from Bosna and Montenegro and they say ‘biber’ for pepper.